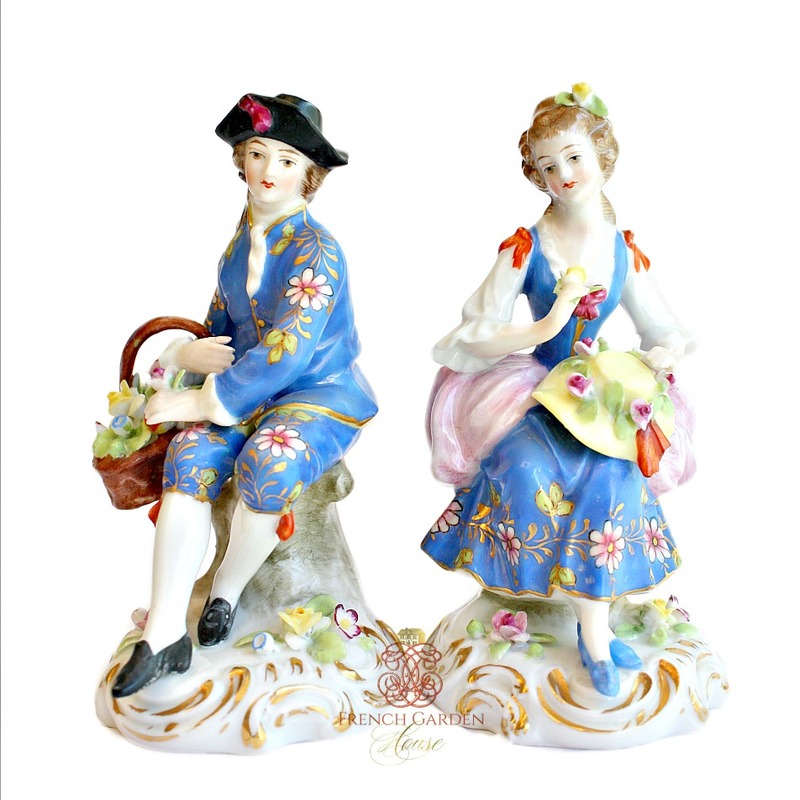 A beautiful pair of French Hand Painted Porcelain Figurines by Edme Samson. Born in Paris in 1810, Edme Samson specialised in recreating important and rare porcelain from museums and private collections. Famous for re-creating hard paste copies of works from earlier well-known English makers, his pieces are very sought after in their own right because of their excellence. 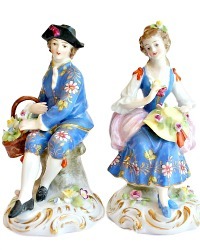 These 19th century figurines, after Chelsea 18th century, gold mark period, portray a young gentleman with a country basket filled with flowers and fruit, the young woman is holding her hat. 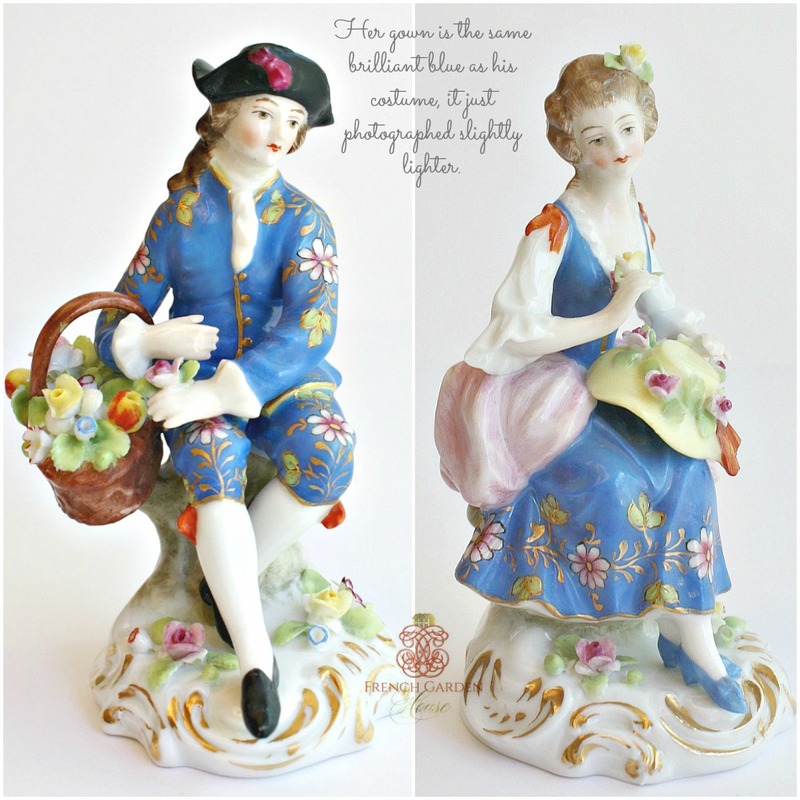 Their faces are exceptional, the workmanship throughout is of the fine luxury quality. Their clothing is beautifully decorated with enameled floral patterns. The attention to detail as well as the palette of colors are spectacular. Blue, pink, black, white, red, yellow, rose, purple, green, black and brown colors, touched with gilt. 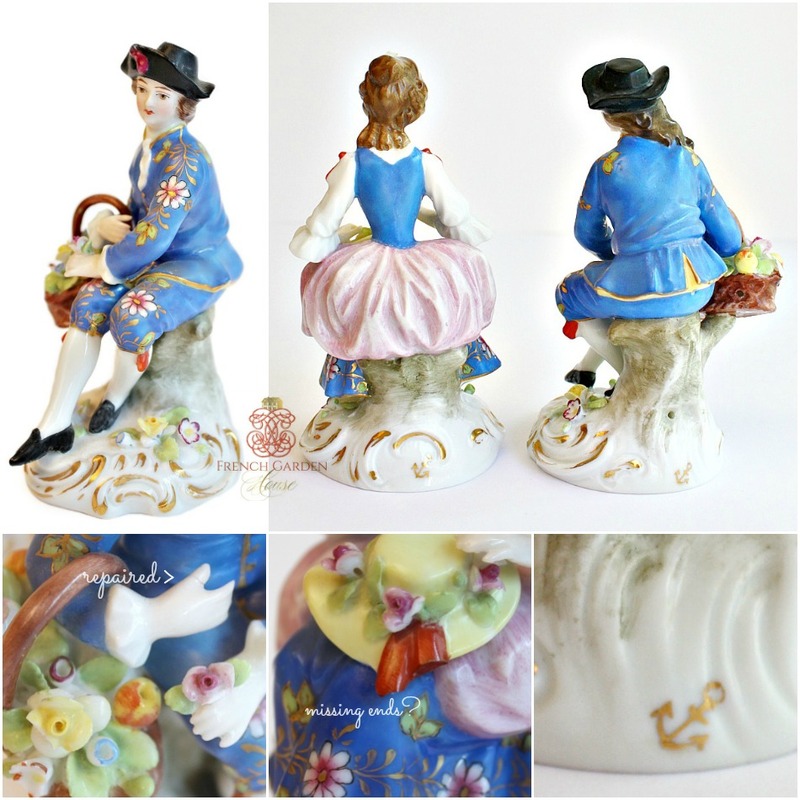 Both are mounted on rococo scrolled bases, marked on back with the faux Chelsea Gold Anchor. As can be expected there are some chips to the miniature flowers; the ribbons on her hat have tips gone, one of his fingers was professionally repaired long ago. He measures 5" h x 3-1/8" x 3"; she: 5" h x 2-7/8" x 2-12".